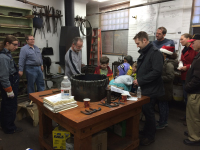 Next time you visit Jackson Street Roundhouse, ask for a behind-the-scenes tour to visit our Blacksmith Forge! 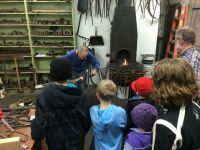 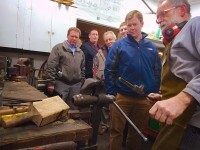 We have active Blacksmiths (a part of the Guild of Metalsmiths) every Wednesday and Saturday. 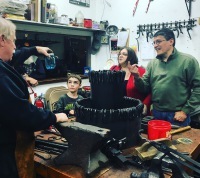 They'll show you projects they're working on, and tell you a bit of history as to the role of the blacksmiths and their valuable contributions to keeping historic railroad operations going.